Roland DG (UK) Ltd is the UK and Irish marketing, distribution and sales arm of Roland DG Corporation. 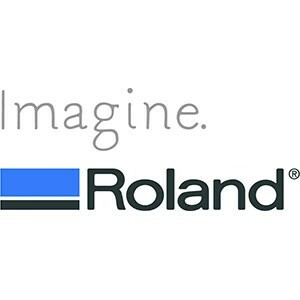 Roland DG Corporation is a worldwide manufacturer of wide-format digital ink-jet print and print-and-cut devices, milling and engraving machines, computerised vinyl cutters, 3D scanners, photo impact printers and a jewellery wax model maker. Roland pioneered the development of print-and-cut technology and today is the number one brand of print-and-cut devices with over 105,000 sold worldwide*. Celebrating its 30th anniversary in 2011, Roland DG has earned its reputation for innovative, quality and reliable products across the sign making, commercial print, graphic art, packaging prototype, labelling, garment decoration, promotional gift, textile, jewellery, engraving, dental, milling and 3D modelling industries. Its production lines utilise a digitally-controlled system, Digital Yatai, which enables individuals to produce Roland ink-jet printers and other products to the highest quality standards. As such the percentage of Roland product failures resulting from the build process is an acclaimed 0% globally. Roland DGÃ¢â¬â¢s reputation as a world class manufacturer depends on delivering the best products, service and support Ã¢â¬â and getting it right first time. Roland DG is ISO 14001:2004 and ISO 9001:2000 certified. The company strives to preserve environmental protection while maintaining the highest quality standards. Roland DG Corporation (TSE symbol 6789): First Section, Tokyo Stock Exchange. Edit Roland DG (UK) Ltd.